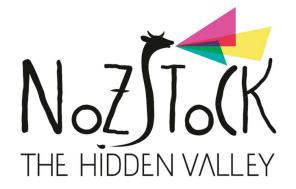 • Nozstock The Hidden Valley returns for its 18th year this July in stunning Herefordshire for a weekend of magic, inspiration and enchantment. 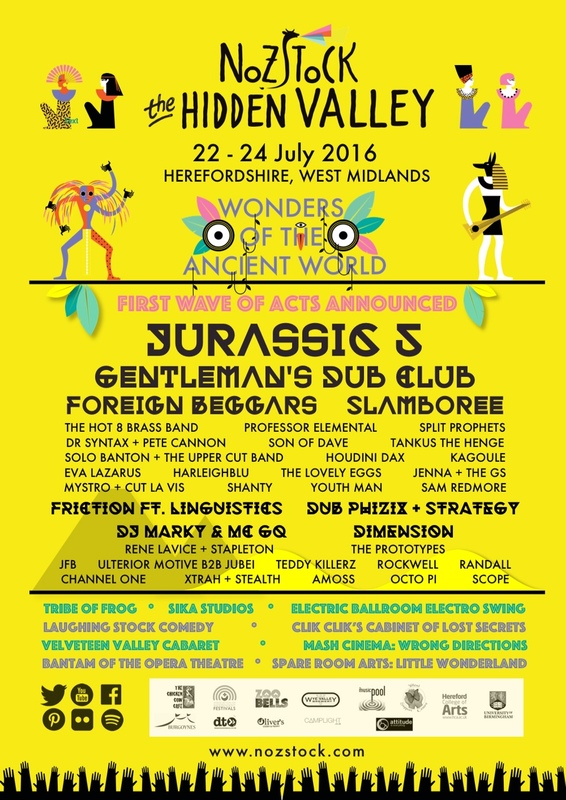 • Headliners include Jurassic 5, Gentleman’s Dub Club and Foreign Beggars with more to be announced in the coming weeks. • Support includes Slamboree, Hot 8 Brass Band, Professor Elemental, Split Prophets, Dr Syntax + Pete Cannon, Tankus The Henge, Solo Banton + The Upper Cut Band, Son of Dave, Houdini Dax, Kagoule, Eva Lazarus, Sam Redmore. 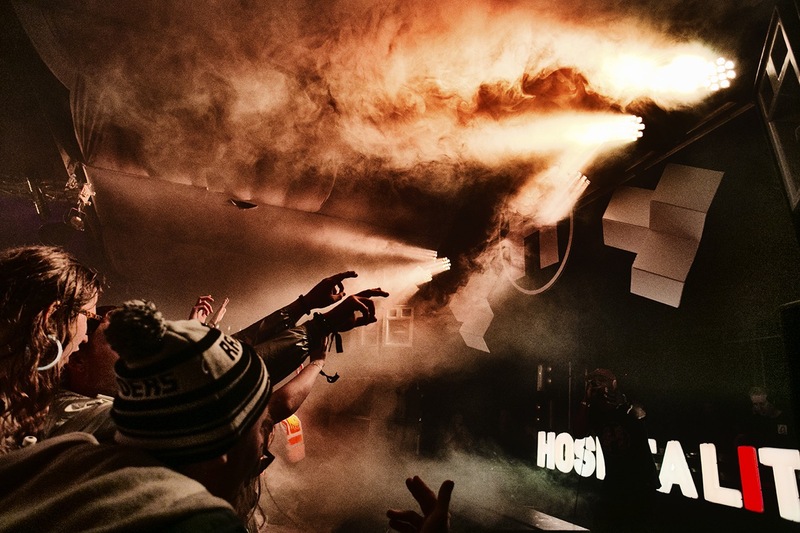 • DJs include Friction ft. Linguistics, Dub Phizix + Strategy, DJ Marky & MC GQ, Dimension, Rene LaVice + Stapleton, The Prototypes, JFB, Ulterior Motive b2b Jubei, Rockwell, Randall, Teddy Killerz, Xtrah & Stealth and Channel One. • Theme for 2016 is Wonders of the Ancient World. • Festival takes place across an idyllic working farm set in beautiful countryside. • Vibrant range of arts, comedy and film programming to be revealed in the Spring. • Epic family fun and crafts still to be announced, plus lots more acts to come. Reaching its 18th year in 2016, Nozstock is nestled in the rolling hills of a beautiful working farm in the heart of Herefordshire. The immensely welcoming and independent event has evolved from 50 friends at the inaugural gathering into an intimate musical odyssey, one of the UK’s longest running festivals. Curated by the father and daughter duo of ‘Noz’ and Ella, there’s a unique charm and energy to Nozstock, quite unlike anything else in the UK. Joining the wild dots between hip-hop, ska, reggae, folk, funk, soul, drum and bass, psytrance, electro-swing and a whole lot more across nine stages, plus interactive adventure and performance, Nozstock is a playground for all. From seasoned festival goers to newbies setting out for their first time there is something for everyone. This year’s festival theme is ‘Wonders of the Ancient World,’ so expect wild fancy dress displays and breath-taking decor. For full festival info click here.